Paula Deen, Jimmy Buffett, & Andy B’s Coming to Branson Landing! Branson Landing announces three new restaurants will be opening at the popular retail, entertainment, and dining district in 2018 and 2019! Paula Deen’s Family Kitchen, Andy B’s Entertainment Center, and Landshark Bar & Grill (a Jimmy Buffet-themed restaurant) have all announced that they will be openinig restaurants in Branson in 2018! One of the biggest dining announcements of the past several years, these three new restaurants bring new elements of food and fun in addition to all of the fun things to do at Branson Landing! 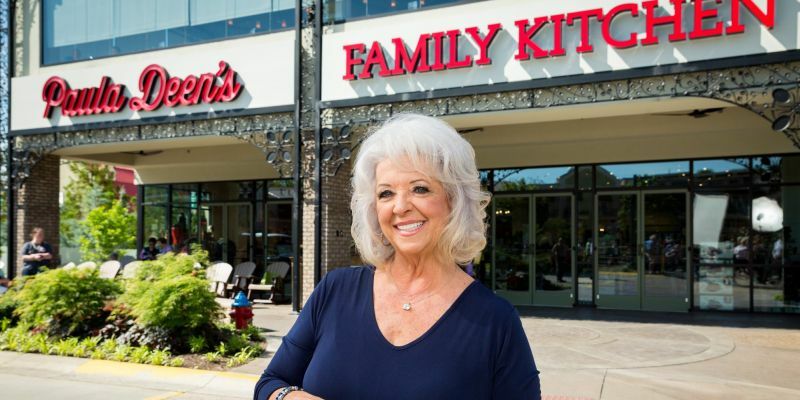 By popular demand, food and TV star Paula Deen will be opening a new “Paula Deen’s Family Kitchen” at the Branson Landing! Scheduled for a Spring 2019 opening, the restaurant will occupy nearly 19,000 square feet in a new building that sits on the north side of the Branson Landing (near the Belk Department store and northern parking lot). With beautiful views of Lake Taneycomo, the new restaurant is sure to be one of the most popular in the area when it opens its doors within the next year. A perfect match for Branson visitors, Deen’s restaurant serves up family-style, Southern food that has received glowing accolades from visitors and critics alike! Sprawling nearly 16,000 square feet the restaurant promises a one-of-a-kind dining experience! Adjoining the facility is an additional 3,000+ square feet of retail and shopping, offering up some of Paula’s favorite items, cookbooks, and other products that reflect her lifestyle and tastses. Paula Deen’s Family Kitchen is a great addition to the Branson landscape, offering diners and guests unique experience to enjoy one of the restaurant world’s fastest-growing chains! 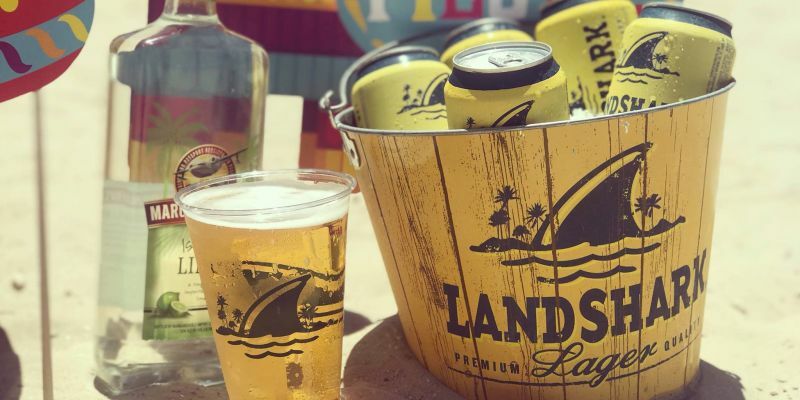 Bring the music, food, and ambiance of Jimmy Buffett to the Branson Landing, the all-new LandShark Bar & Grill delivers a one-of-a-kind dining experience! The new LandShark Bar & Grill will be opening at the Branson Landing in the fall of 2018 and overlook the famous fountain and fire show! Setting up in the former home of Texas Land & Cattle, this new restaurant provides some of the most incredible views of Lake Taneycomo and one of the best locations at the Branson Landing! Overlooking the famous fountain show, the 7,000+ square foot restaurant will offer a variety of tropical dishes set in a beach-style setting. From burgers and tacos to the Buffett’s famous LandShark lager, it’s sure to become one of the most popular places to eat in Branson! Hang out inside while you grab a bit to eat, or take in the sights and sounds on the wrap-around, 2,000 square foot patio! Schedule for a fall 2018 opening, you won’t want to miss this fun, new restaurant! Combining food, bowling, games, and fun into one unique entertainment and dining experience, Andy B’s Entertainment Center and restaurant will be opening its doors in the fall of 2018! Andy B’s restaurant and entertainment center brings an entirely new restaurant experience to the Branson Landing in Fall 2018! 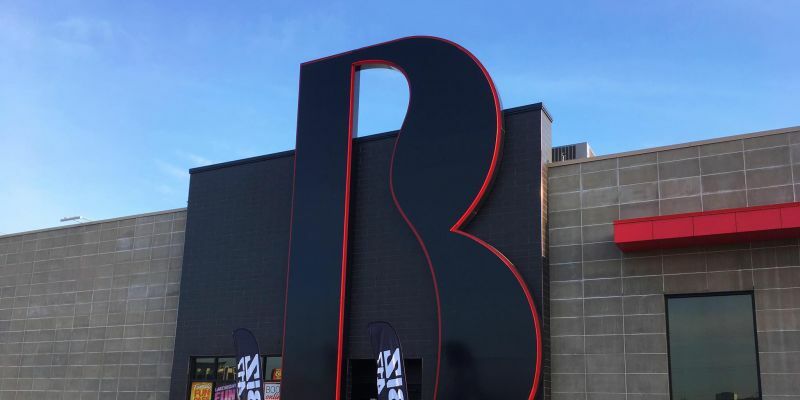 A giant undertaking, the new Andy B’s in Branson will offer a one-of-a-kind setting for an afternoon or evening of fun! Featuring a full-service restaurant, cocktails, and local beers – it promises an incredible time you won’t ever forget! Sitting on the north side of the Branson Landing, the new facility will offer games, bowling, an indoor/outdoor bar, and patio for LIVE music! The huge facility offers Branson visitors the chance to dine in a setting that is unlike anything they’ve ever experienced!